Syfy May Have Canceled THE EXPANSE, But It's Been Saved! 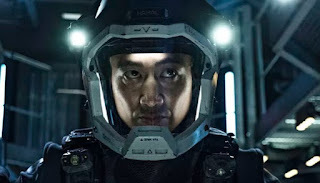 I'm sure you know, maybe you don't, but Syfy has canceled The Expanse. At first I panicked. It's an excellent book series but Syfy really screwed the pooch with the first season as they tried to create a ton of filler content that led nowhere and made the show feel rather painful and didn't even feel like it was from the same book series. But the second season started to pick up and communicate the actual story of the book series, and I've been collecting the third season on my DVR. But then I saw the headlines that Syfy canceled the show. Whaaaa? When a show gets canceled on me, if I've been collecting it in my DVR but it gets canceled, I tend to just mass delete everything. Why waste time getting deeper into a story if it's canceled? It turns out that Amazon is stepping up to save the show from the Syfy cut! Amazon sees the show for what it is... it's based on a fantastic, best-selling book series, and I'm guessing they have ideas on how to pull the show forward and make it better! And more than likely, MUCH BETTER! Oh, and the announcement was made at the International Space Development Conference. I'm glad the show got exposure on Syfy, sad they butchered the first season so badly, but glad it got enough of a foothold to make it to a third season, and glad that we're lucky to be seeing a fourth on Amazon's streaming service, Amazon Prime!